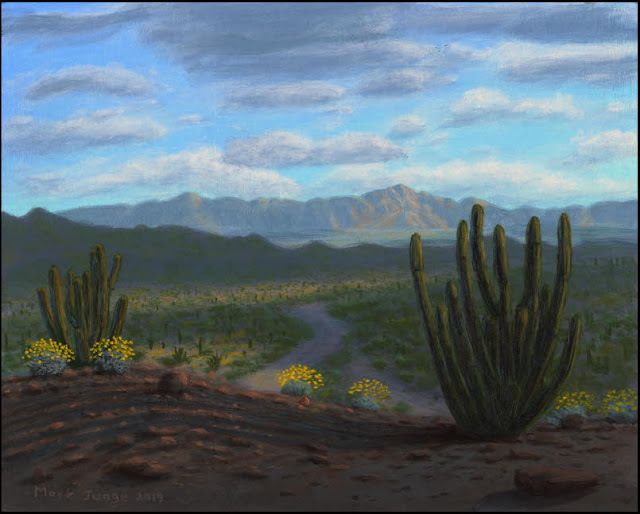 A blog about the adventures and misadventures of a desert landscape artist who happens to like bunnies, complete with their cotton tales...er, ah, tails! 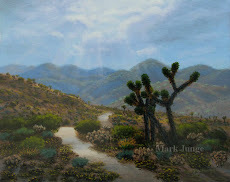 Besides working on my fine art paintings, I've also been busy with a commission from the local Hi Desert Nature Museum in Yucca Valley, CA. I'm making two habitat dioramas showing some of the wildlife and overall look of our Mojave desert! So far, I'm still painting the background image which I hope to finish within a few days. I have to say, this is the largest painting I've ever done (86" wide x 67" high / 2.2m W x 1.7m H). And I'm working on the painting on site -- not in the studio, where I would use an easel and all my paraphernalia laid out where I'm used to having it. Oh, well. From the title, you may guess there will also be a Nighttime Diorama as well. Once the background is finished (with more small rocks and additional plant species), the foreground will be the three-dimensional component with ground, rocks, taxidermy animals and some plants. 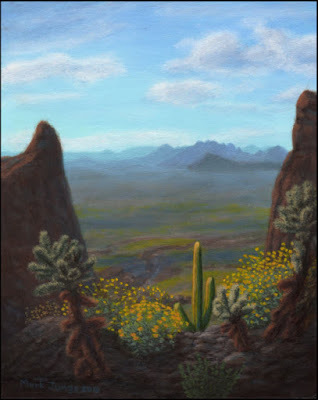 I'm making the 3-D foreground, too, although I don't know yet if I'll be placing the critters where they belong, or if the museum staff will handle that. Then, if I'm not too tired, I work in my studio on my paintings, too! It'll be nice to have both dioramas finished and see what the response is. I hope they will add much to the museum and that the public will love 'em! 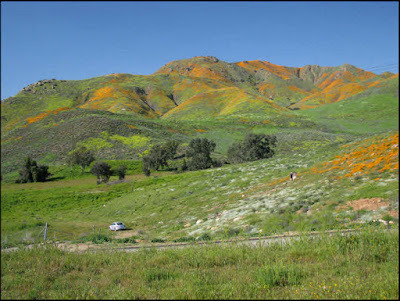 I already have a painting in progress of California Wildflowers! 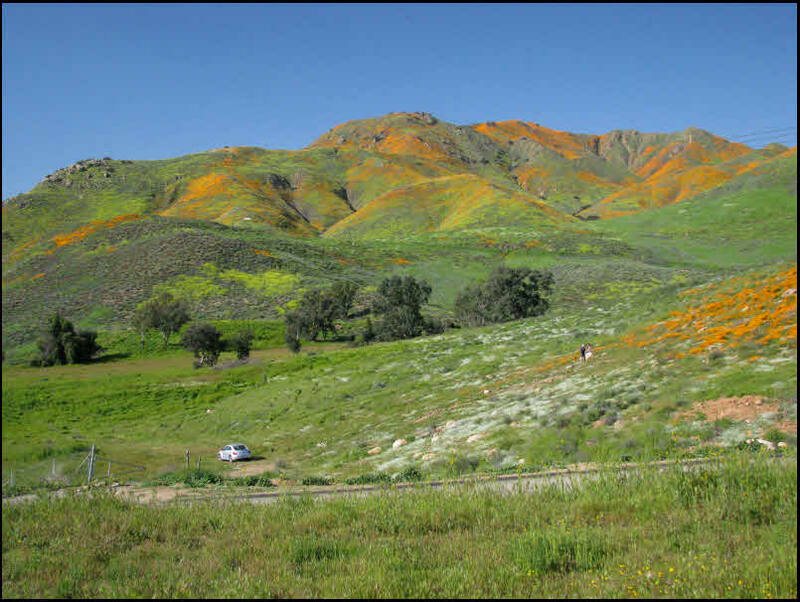 Superblooms are a relatively rare event in southern California; hence, people go a little nutzo when it happens. I understand -- I just wish those people would have a little more respect for the land and the flowers. OK -- soapbox time is over! Have a beautiful spring day, wherever you are! 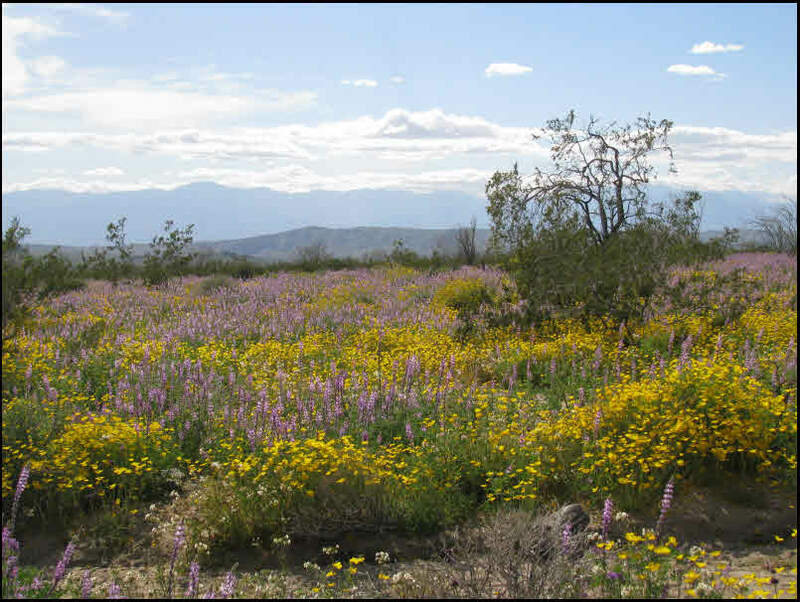 By now, it's common knowledge the southwestern deserts, including the California deserts, are experiencing a superbloom thanks to the many rain storms we've had over the past months. 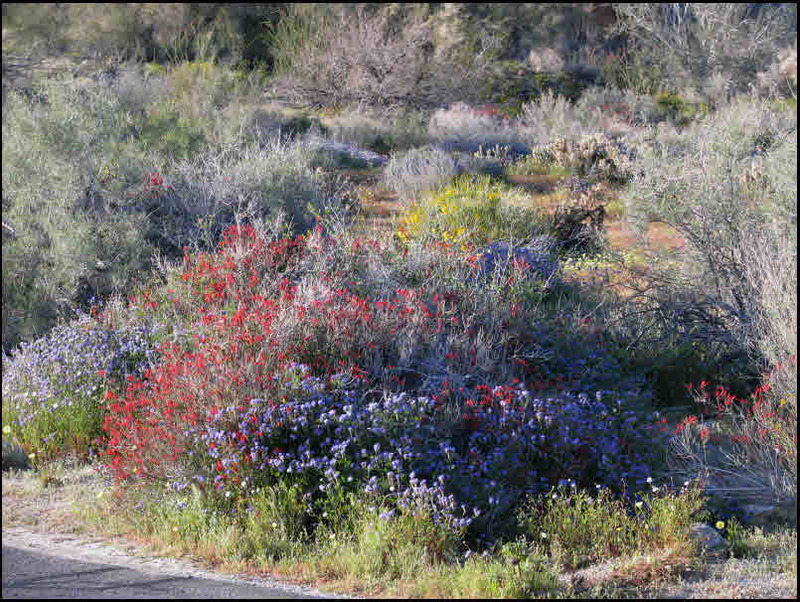 More flowers than usual appear like magic and transform the typical desert browns to carpets of unbelievably zonking color that appears almost fluorescent! The color doesn't always show very well in photos, but of course, in paintings (such as the ones I plan to do), the color will jump off the canvas or panels! Yellow and lavender flowers light up the desert floor. 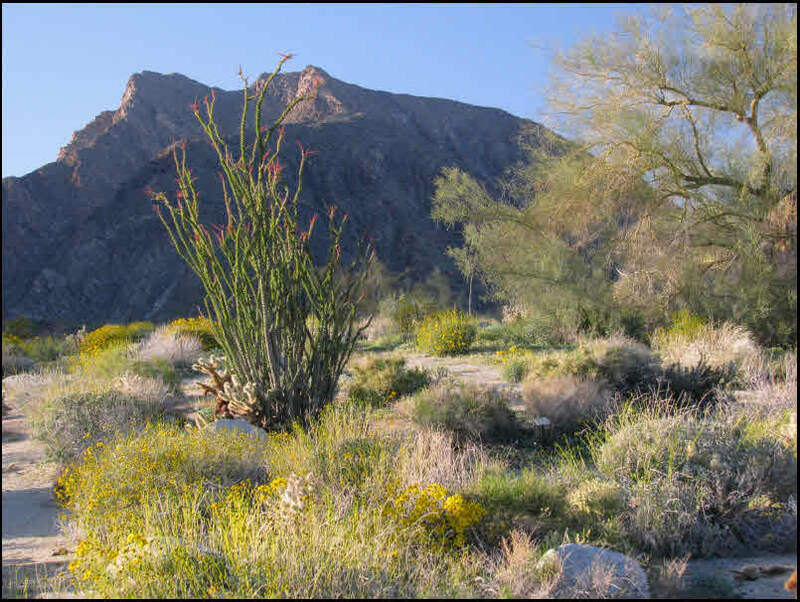 the stick-like ocotillo prepares for a show in a few weeks. A barrel cactus blossoms in front of a chuparosa. 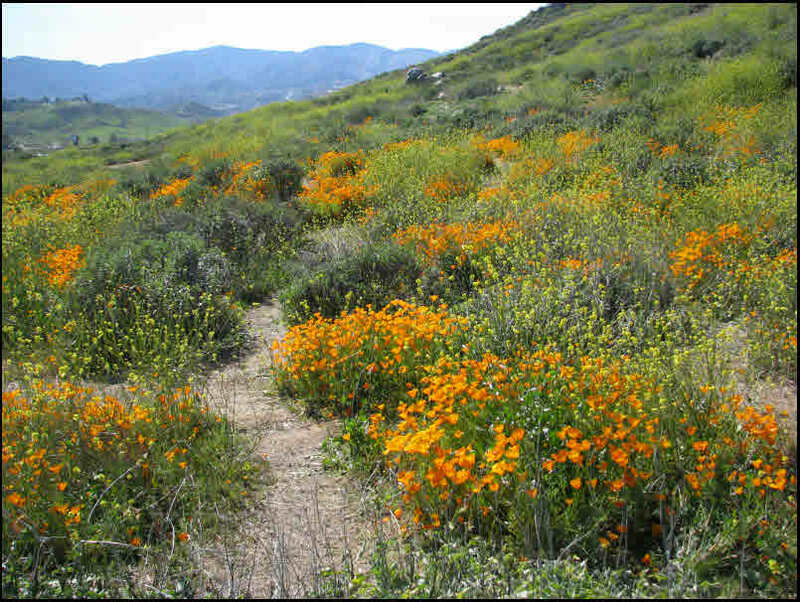 yellow-flowered brittlebush set off Indian Head Mountain. in a clump of lavender-colored phalecia. 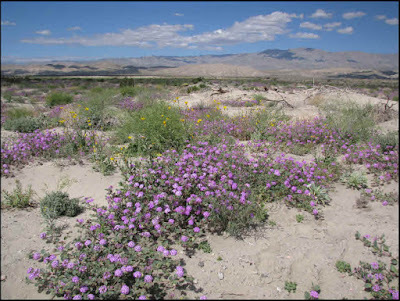 sand verbena color the waves of dunes. These images, along with many others I made (and may continue to take) will certainly lead me to create paintings that highlight the desert at its blazing best! The size is 8" x 10" ( 20cm x 25cm ) on panel -- a size I've been using lately to make a lot of paintings. 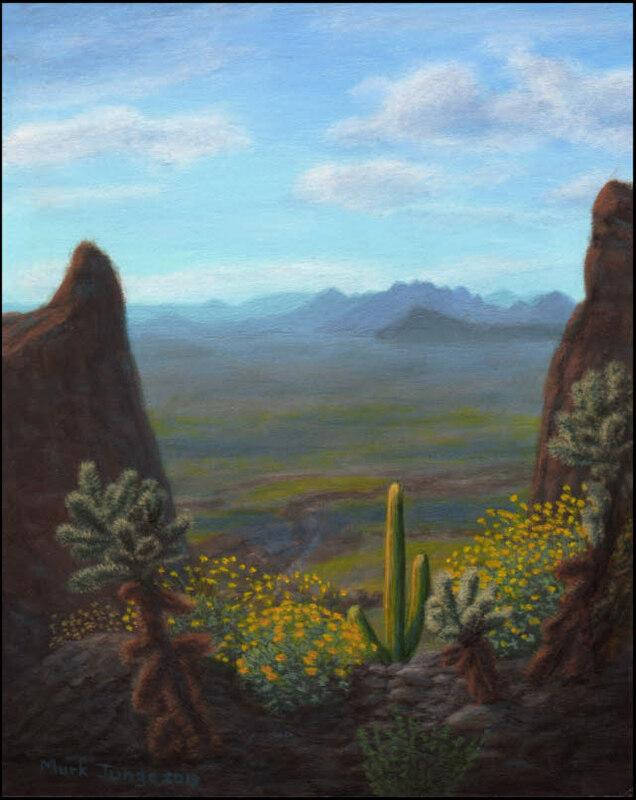 Easy to pack up and ship, and for many people, small and miniature art is a desirable size to collect those images of memories of happy times in the desert. Or wherever. This scene shows my favorite view -- in Organ Pipe Cactus National Monument in southern Arizona, looking south toward the distant Sonoita (or Sonoyta) Mountains of Mexico and featuring those vast, wide-open vistas that one can see from this spot. 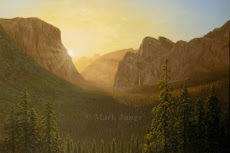 I was actually there when the clouds created alternating patterns of sun spots and cloud shadows on the landscape as I depicted in the painting. 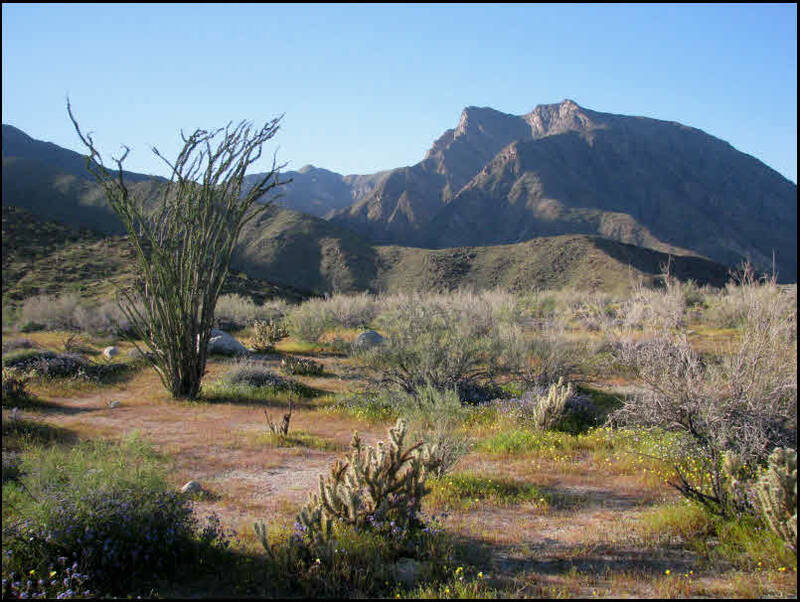 However, I have heard from friends that the organ pipe cactus on the right has died since I was last there. 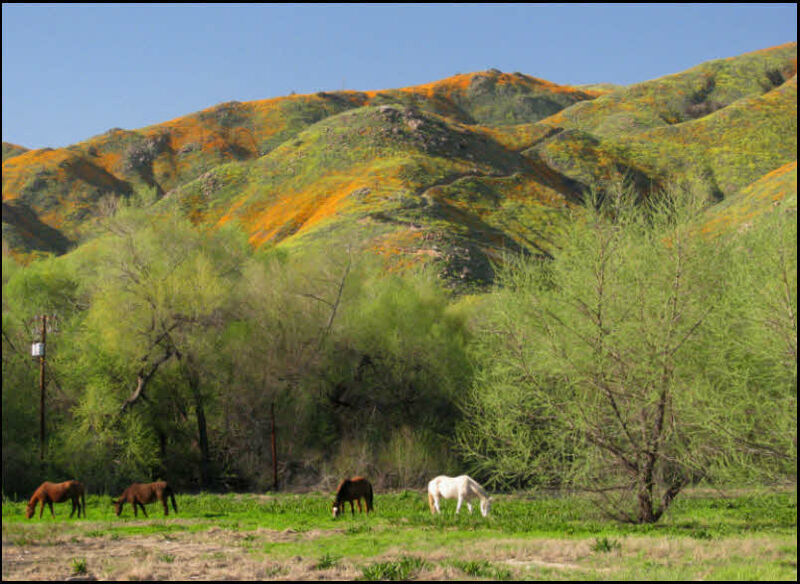 A place of beauty, peace and serenity -- as long as one has water, food, A/C in the summer and heat in the winter! 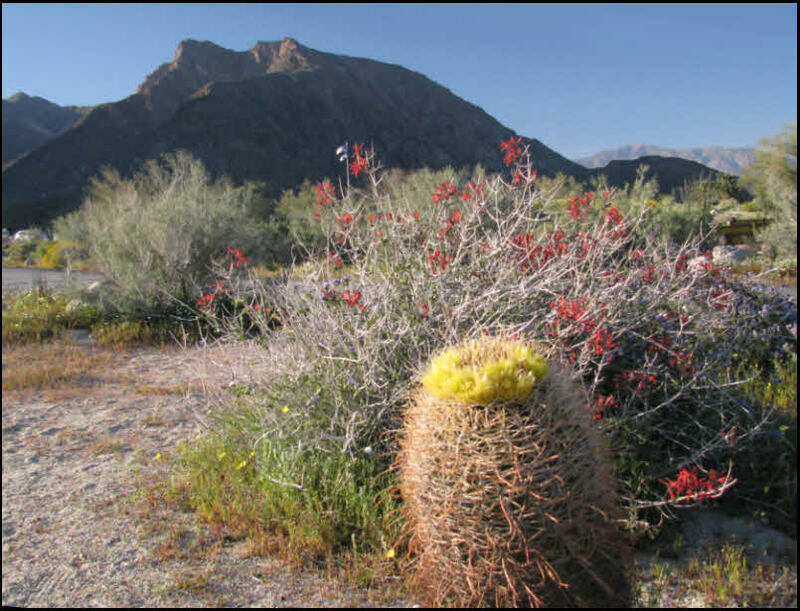 Otherwise, the desert is a harsh environment! But I prefer to show it at its most glorious. I love these birds-eye views of the desert that show the infinite, wide-open spaces of the landscapes that seem to stretch out forever. I added more space to form a path than there actually was at that time -- but I still wanted a sense of "better watch where you step, or you'll be impaled by cactus thorns." In addition, there were saguaro cactus there, but none were visible from this spot. So I included one! I enjoyed making this painting, which I started in November 2018! Unfortunately, the holidays and other stuff slowed me down quite a bit. But it's finally finished! 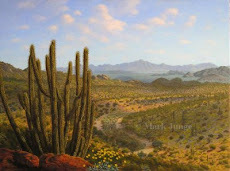 Now I'm ready to move on to the next piece of desert art! 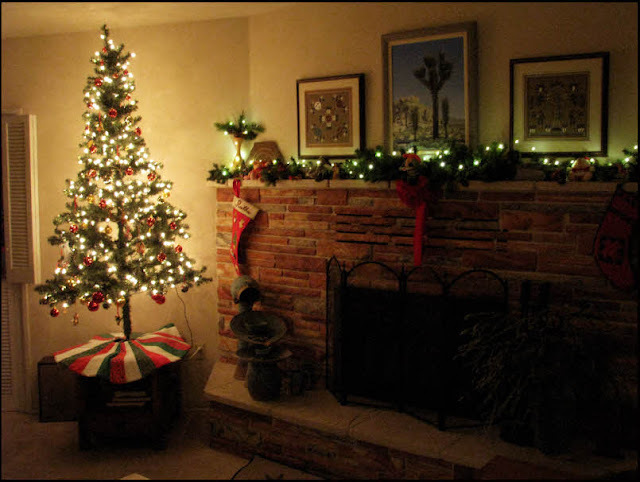 Well, it seems Christmas is over (sigh...), 2018 is almost done with, and soon it'll be 2019! WHERE, exactly, did 2018 go? I know time seems to speed up when you get old, decrepit and dilapidated (like me☺), but... come on!! OK, so -- I've been working, on and off, on a small painting. At the same time, I decided it's time to revamp my website to make it more compatible with what search engines are looking for. More on this topic soon. Also, I seem to have lots of ideas for images to paint, but I've gone back to being kinda unmotivated, which is something I need to work on. I can't be that way. Not if I need to survive financially! I read an online article claiming that the number one obstacle to making it as a professional artist is: the work simply isn't good enough. It can't compete with all the artwork that's out there. The article went on to describe the misadventures of a female artist whose experiences seemed quite similar to mine. I'm sure this position is true -- for many artists, and maybe for me, too. But I can't ignore other possible reasons why obstacles exist. This is something I've been contemplating a lot. So this is where things stand. I'm hoping website sales will increase in 2019, when people are able to find me! 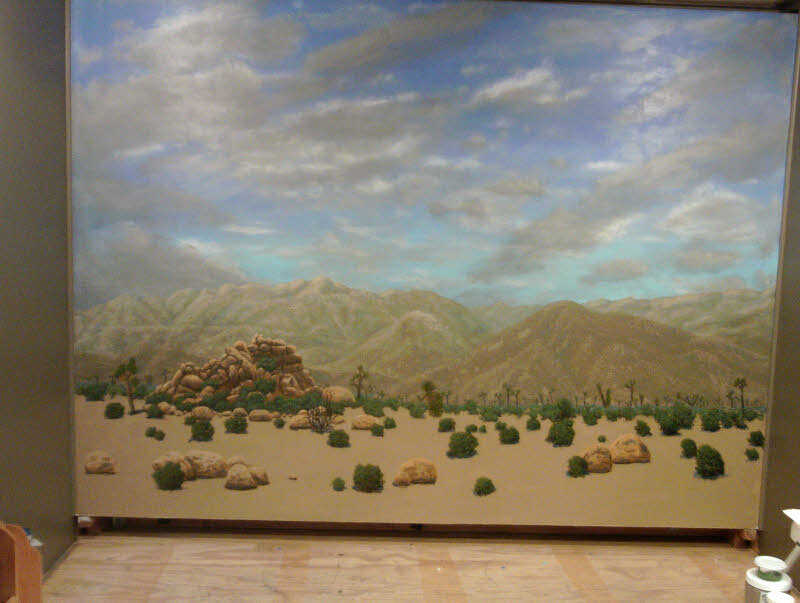 Right now, if you Google "desert paintings," my site isn't even in the first 100, although I used to be in the top 5, and sometimes I was even #1!! Gotta fix that, too. So I hope Christmas was awesome, that this year has been good to you and that 2019 will be a fabulous year for us all!! For a quick flash of fluorescent color in a sometimes drab southwestern desert, nothing can beat a male hooded oriole! The glorious color of this little beauty must be seen to be believed! 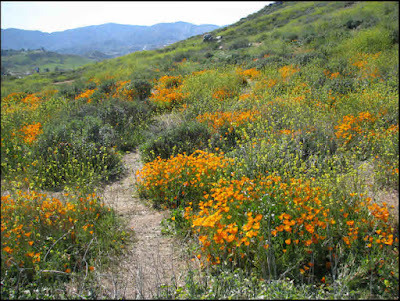 In full sunlight, its yellow-orange and black feathering is a delight to the eye. 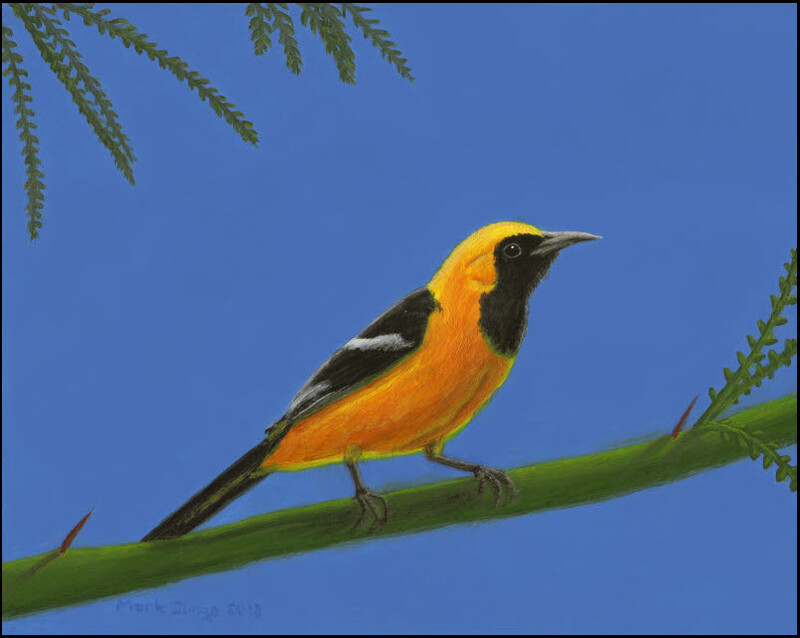 I painted this oriole sitting on the branch of a palo verde tree, another resident of the desert. I considered including the yellow flowers of the tree, but then I decided I didn't want anything yellow to compete with the dazzling yellows of the bird. Hooded orioles winter mostly in Mexico. So if you ever want to see one in the southwestern deserts of the US, come to the desert in the spring or (gasp!) summer for a striking flash of color! Intense Type-A personality all the way! A dreamer, not always practical; a skeptical, deep-thinking type.